Some would have you believe that grading coins is a science, but learning how to grade a coin is an art that requires skill. That being said, anyone with one good eye can get a fairly good idea as to the neighborhood of the grade of a coin. It’s important to know the grade of a coin because, in general, the higher the grade of a coin, the higher its price. American coins are most often graded these days on a 70 point scale devised by Dr William Sheldon for his famous work, “Penny Whimsy” on early large cents. A zero (“0”) means that you can pretty much tell that it was once a coin while 70 means that it is perfect. Note that 60 is uncirculated, what the general public would consider perfect, with no wear whatsoever. There is a direct mapping from this scale to the older descriptive terms, but they are not always used the same. 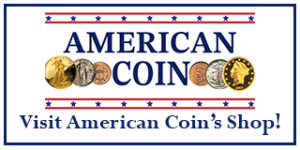 Ironically, the official numismatic organization that varies the most from this scale is the EAC (Early American Coppers) society. They tend to undergrade coins with respect to the rest of the industry. The other people that vary from the standard are unscrupulous coin sellers that overgrade coins so that they can sell coins for more money than they are actually worth. If you have absolutely no idea how to grade coins, you have no business buying coins without help. If you do not know how to grade coins for yourself, you will eventually learn, and it could very well be an expensive lesson. When selling coins, you don’t have as much of a problem. 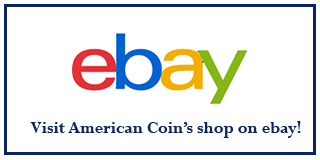 Simply take the coins to a couple of different dealers and get their opinions as to the grade. Always ask for the grade opinion before asking for a price as it can help in negotiating a fair price. If you are interested in learning to grade coins yourself, I would start with the excellent “Official A.N.A. 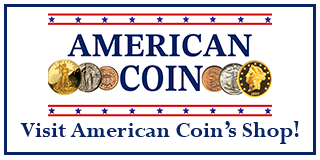 Grading Standards for United States Coins” published by the American Numismatic Association (ANA). Or you can look at PCGS’ Grades for a visual comparison of some coin grades. Absolutely no trace of wear. Mint state coins vary from MS-60 to MS-70. As I stated earlier, MS-70 is perfect. No blemishes, good strike, great color, and a lot of other really nitpicky stuff. Trust me, any coin you have that isn’t slabbed isn’t MS-70. It’s like winning the lottery, twice. An average shiny new penny from the supermarket is MS-63. A really pretty one with no easily visible marks is MS-65. If you have an average roll of new cents from the supermarket, 2-5 will be MS-60, 5-15 will be MS-61, 25-40 will be MS-63, 5-8 will be MS-64, and 1-2 will be MS-65. If you are exceptionally lucky, one will be MS-66. An MS-68 coin is 1 in 100,000! Distinguishing the difference between these uncirculated grades is where most of the magic in coin grading is. 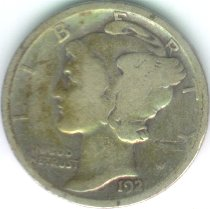 Even with years of experience, coin dealers will disagree about these grades. Even the professional grading services aren’t 100% consistent within these grade levels. Some coins are very difficult case studies. European coin collectors think that this American system of grading uncirculated coins is just downright crazy. AU coins come in AU-50, AU-55 and AU-58. As a novice, you probably won’t be able to tell the difference between AU and Unc coins. The most important thing in grading an AU coin is to know is where the high points are on a particular coin so that you can look for the minimal wear there. Practice by taking a new coin from the bank, rub it back and forth on your mouse pad vigorously a few times, and see if you can see the wear. Hold the coin nearly sideways in a bright light so that the light reflects at a low angle off the coin. Look for a difference in how the light reflects from most of the coin versus the very highest points. If it doesn’t reflect off of the high points the same way as it does from the rest of the coin, then you probably have an AU coin. Note that most AU-58 coins look much better than most MS-60 coins. One of the weird things about coins is that an ugly uncirculated coin often sells for more than a beautiful coin with barely perceptible wear. XF coins come in XF-40 and XF-45. With an XF coin, you can usually see the wear without messing around too much, but it is a very small amount of wear. 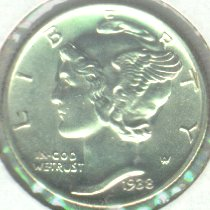 There is often some of the mint luster left on the coin. Most of the devices on the coin are clearly defined. For each type of coin, there are different things to look for in determining if a coin meets this demanding grade. VF coins come in VF-20, VF-25, VF-30 and occasionally VF-35. The key word here is major. Minor features such as some of the finer hair detail, feathers, etc. will be worn. Take a roll of quarters from the bank. Most of the coins from 1976-1983 or so will likely grade VF. Personally, I specialize in VF coins because they show most of the detail of the coin and are a fraction of the cost of higher grade coins. While they show honest wear, they are still very attractive and detailed. Note that silver and copper coins wear faster than clad coins, so VF probably represents between 1-3 years of use. Fine is labelled F-12 in the Sheldon scale. Your average 1965 quarter from circulation is Fine. A lot of the details are gone, but you can still see a good deal of the design. Very Good is VG-8 on the Sheldon scale. The entire design is weak, but a few details are visible. Full rims are nearly always a requirement for this grade. A full rim means that you can see a line around the edge of the coin where it was raised up. On some coins, full rims are not required for this grade. You must be able to read the date and mint mark. This is a used up coin. You should be able to make out the date (possibly with some effort). Often, only parts of the last two digits will be visible. There may be holes, it might be bent, or it might just have a LOT of honest wear. You may or may not see the date depending on the type and the nature of the wear. Fair coins are also sometimes called “filler” coins. That is because you can buy them very cheaply to fill the holes in your collection. Otherwise, you might never be able to afford the coin. 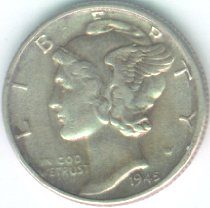 Many people collect fair condition coins, especially the rarer dates and types. 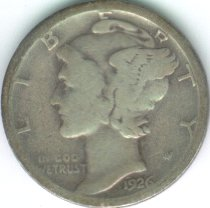 Dateless buffalo nickels, for example, are still worth about a dime. Some of the earlier type coins may be worth $50 or more in fair condition. You can identify the lump of metal as being a coin. Basal state coins have extraordinarily low value. 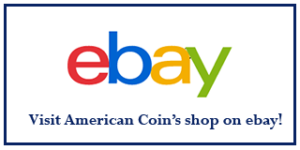 A basal state large cent, for example, might sell for a nickel. 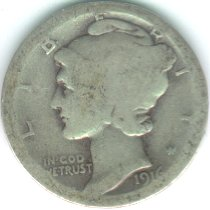 Occasionally, you will find a poorly struck coin that looks like it has wear, but is really uncirculated. To see a good example of this, look at the bottom of the shoulder of most uncirculated Lincoln cents from the mid to late 1990’s. It will always look like it has a little wear, but it is just a problem with strike. While there is a premium for well struck coins, the primary determination of value is from wear. Some coins are nearly always weakly struck. 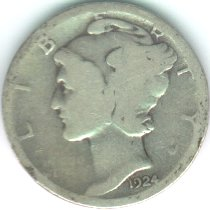 For example, early coins from New Orleans often show weakness in striking. The reverse of many seated dimes is often weakly struck, etc. Coins with scratches, holes, very dark toning, pitting, corrosion, fake color, retooling, repairs and other problems are severely downgraded. Sometimes you will see coins graded in in-between numbers such as F-15 or VG-10 or VF/XF. There is typically not very much of a premium for these in-between grades, so in many cases they can represent a good value. Some early silver and gold coins have adjustment marks. These do not effect the grade, but can affect the value in a similar fashion. Net grading is a term used when referring to coins that have problems. For example, a coin might have XF wear, but have been scratched, corroded, cleaned, etc. Often, such a coin will be given a “net” grade, say VF reflecting the undesirable issues. This is meant to reflect that while the coin may technically grade XF, the market value should be somewhere close to that of an average VF coin. While completely problem free coins are the exception, net grading is probably applied to less than a fourth of the coins out there. NGC is a very reputable grading service. PCGS is a very reputable grading service. ANACS is America’s oldest grading company.